Revisiting our trusty friend the color wheel. Analogous colors are found side by side on the color wheel, which are known as “neighbor” colors. Lets start with my favorite color… green. 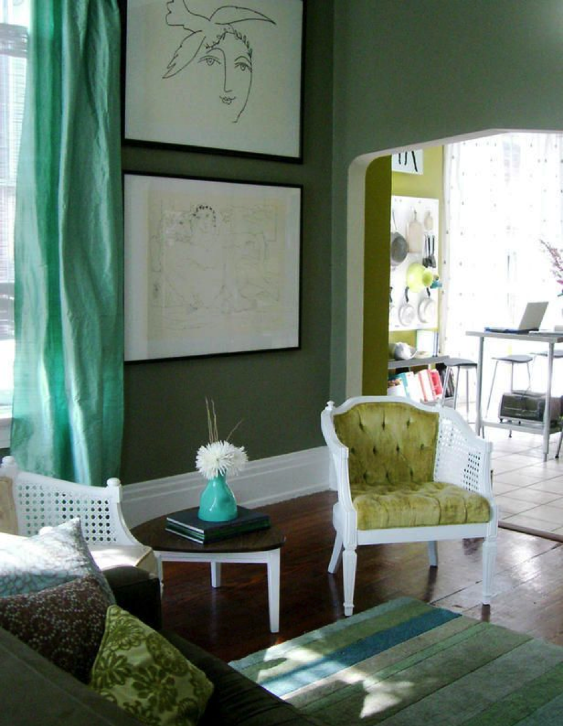 Green’s neighbors, being blue and yellow, are very cohesive and comfortable when put together in a space. Analogous palettes are great for achieving a space with a calming environment. Analogous combinations are usually found in nature, which is why they are so pleasing to the eye. It is important in a retail environment to use analogous colors with a significant amount of contrast so that you can create a space that is comfortable. Creating a comfortable feeling to a retail environment will make it more likely that customers will spend time in your store, and also return in the future. Similar to complementary colors, it is important to choose a dominant color and have the other colors as accents or supporting colors. This may be your brand color. If your brand color is a hunter green try to use pops of a bright sunny yellow and maybe a more muted blue, creating a great backdrop for the green. Causing plenty of visual interest, without being overwhelming. If you liked this post make sure to check out our post on complementary colors and bringing life into a space! Article written by Caleigh Pollard for The Element Group.